Ramdane Dris PhD., Arun Sharma PhD. Horticulture food crops constitute a significant component of the world agriculture. Among several examples, fruit and vegetable components determine the quality of our diet. These commodities are a valuable source of vitamins, minerals, protective antioxidants and dietary fiber. Therefore, fruits and vegetables are some times referred to as protective foods. The book contains a great amount of information addressing different issues related to crop science and technology with its broad aspects. The attempts to prolong and preserve the freshlike attributes of horticultural food crops date back to historic times. This fact, has been very interestingly brought forward in this book, in an article authored by Chinese scientists. 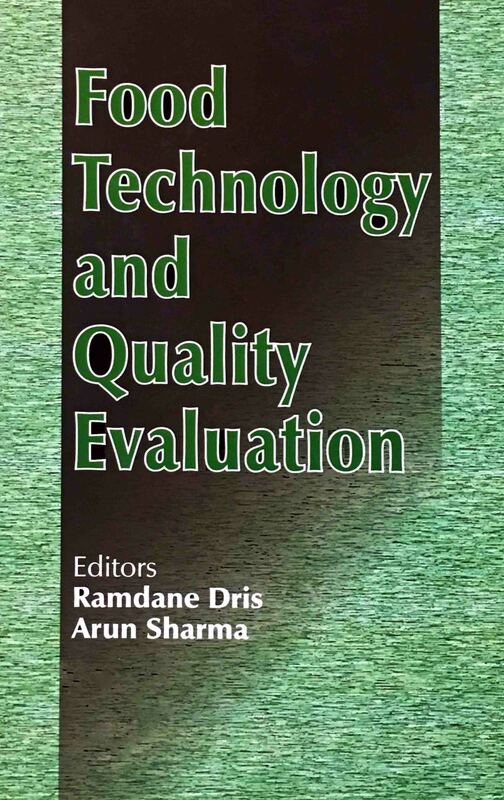 The book also contains a number of articles with valuable information on the application of recent techniques and development of methodologies. The present book describes the impact of environmental factors on food crop quality, including handling parameters, quality evaluation, CA and MAP storage conditions, worldwide. A few articles contain frontline research and development in this area. Though only a few horticultural commodities have been included, the book covers the entire spectra of activities in the area of fruits and vegetables and few other plant products such as medicinal plants, production, yield, and quality assessment. This book should equally interest both researchers and lay persons .